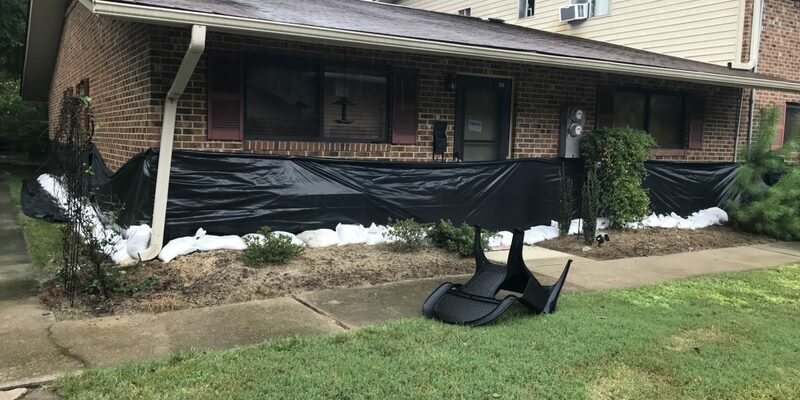 Chapel Hill was “fairly quiet” on Friday night, according to town manager Maurice Jones, as the remnants of Hurricane Florence dropped roughly 3 inches of rain overnight Friday. Jones estimated the town could receive 4 more inches of rain Saturday and Sunday. Jones wrote in an email to town staff and elected officials that Chapel Hill had not experienced any “significant flooding.” The town has seen sustained winds at roughly 17 mph with gusts of up to 35 mph. “Chapel Hill Transit is still not operating because of the winds,” Jones wrote. He added that the goal is to restart transit service on Sunday. The town is also working to coordinate assistance with UNC – Chapel Hill as the university will be opening a mega shelter at the Friday Center, which is expected to open on Saturday.